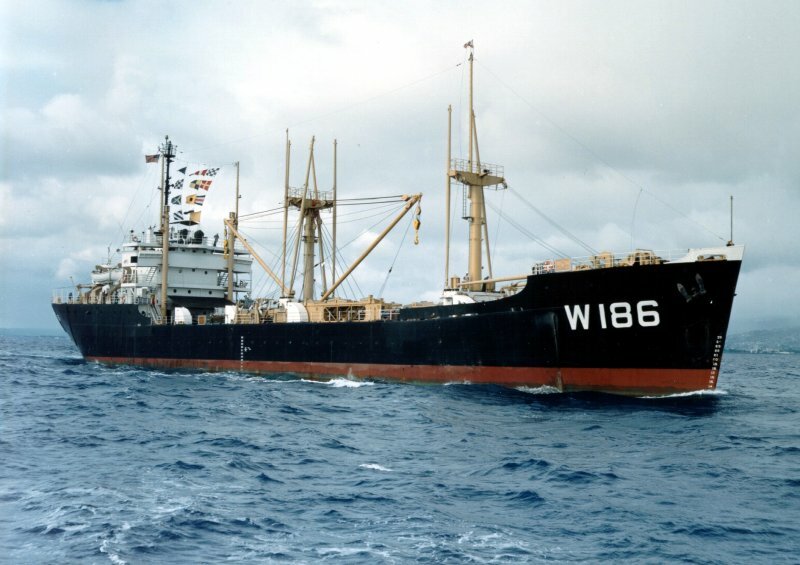 Laid in 1944 as a Maritime Commission type (C1-M-AV1) hull, under Maritime Commission contract (MC hull 2147) at Froemming Brothers, Inc., Milwaukee, WI. 68k USCGC Kukui (WAK-186) underway off the Coast Guard Yard at Curtis Bay, MD., 16 March 1946. 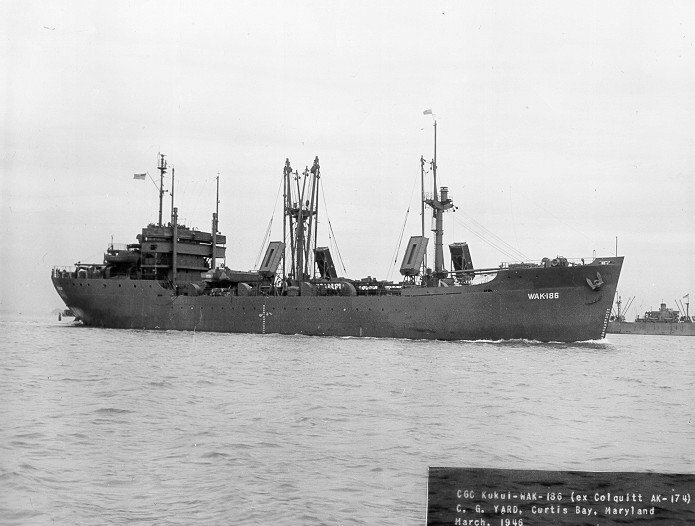 Kukui was one of two ships of this class transferred to the Coast Guard in 1946. 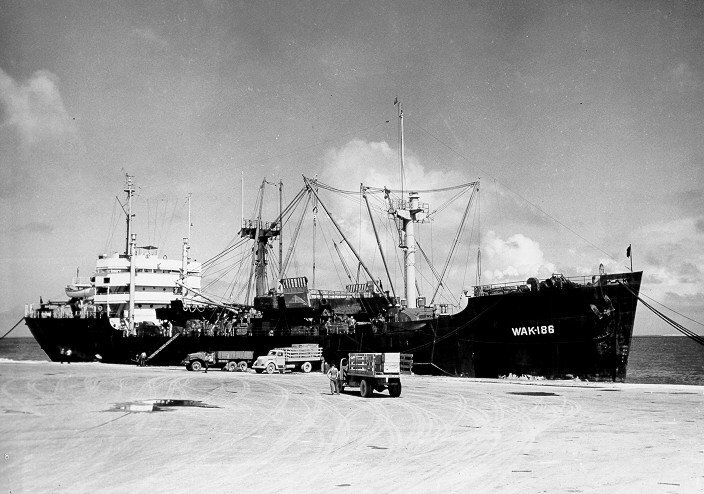 45k USCGC Kukui (WAK-186) at anchor, circa 1957, location unknown. 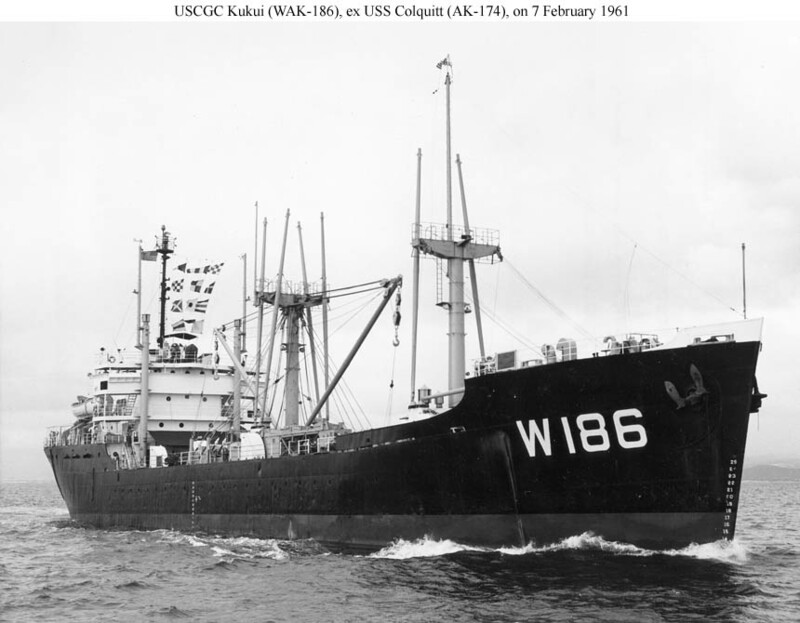 84k USCGC Kukui (WAK-186) underway, date and location unknown. 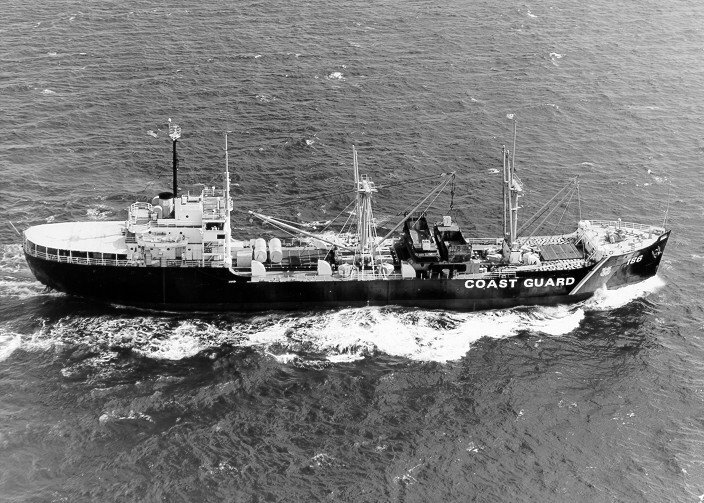 96k USCGC Kukui (WAK-186) underway, 7 February 1961, location unknown. 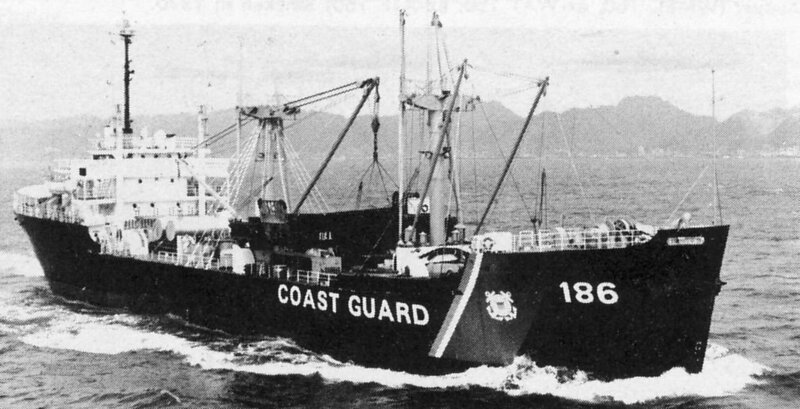 128k USCGC Kukui (WAK-186) underway in 1970, location unknown. 140k USCGC Kukui (WAK-186) underway, date and location unknown.